New ATO guidance on pensions and the transfer balance cap have much wider consequences than what it seems at first glance. In the lead-up to 30 June 2017 we saw the Australian Taxation Office (ATO) provide us with guidance for SMSFs to comply with the introduction of the transfer balance cap through the release of Practical Compliance Guidance, PCG 2017/5. Whilst this guidance focused on the actions that needed to be taken before 1 July 2017 for the commutation of superannuation income streams that were above the $1.6 million transfer balance cap, the impact of this statement will have far greater ramifications on benefit payments under the new superannuation measures. Before 1 July 2017, where a member was 60 years of age or older, there was great focus on the treatment of how benefit payments were taken from a member’s superannuation interest – sure, benefits were contemplated from which superannuation interest if a member was drawing multiple super income streams, but the benefit payment, regardless of the quantum would ordinarily be treated as a pension payment. 3. Partial commutation – which provides a debit against the member’s transfer balance account; particularly beneficial from an estate planning viewpoint where the combination of a couple’s total superannuation balance is greater than $1.6 million. Historically, the decision around the timing and distribution of benefit payments between fund members has been ‘flexible’. However, with the introduction of the transfer balance account reporting (TBAR), the timing of these decisions, in particular for a commutation means that such decisions into the future need to be made quicker than before. • Specifies the superannuation income stream which will be subject to the commutation. Where exercise of a later discretion by either the member or trustee of the SMSF is allowed, the commutation is subject to certain actions, or does not provide sufficient certainty with respect to identifying the super income streams subject to the commutation request, the commissioner’s questions whether a valid commutation has in fact been effected before the transaction. With this in mind, let’s now bring this into context with an example. Keith (67) is drawing an account-based income stream with a $1.6 million value that was assessed for his Transfer Balance Cap (TBC). To comply with the introduction of the TBC, Keith rolled back $100,000 to his accumulation phase interest prior to 1 July 2017. Keith has decided to take four quarterly payments for the 2017-18 income year of $50,000 (a total of $200,000). Based upon his age, the minimum pension for the income year is $80,000 (5 per cent). Therefore, Keith will exceed his minimum pension obligation by $120,000. So, what needs to be considered here? Tax Ruling 2013/5 provides the commissioner’s view that a partial commutation occurs where the pensioner ‘consciously exercises their right to exchange something less than their full entitlement to receive future pension payments for an entitlement to be paid a lump sum.’ So, where no conscious decision has occurred prior to the benefit payment, which includes written request and acceptance by the trustee, it is reasonable to conclude that no partial commutation existed, and the $20,000 payment is to be treated as a pension payment. This would mean no debit amount is to be reported against the member’s transfer balance account, which the cumulative of such amounts over time may amount to a reasonable future available balance in the event of a spouse’s death. After the SMSF sector moves through the transitional period for TBAR reporting (available until 1 July 2018), these decisions are further compounded by the tight reporting deadlines to report such debits to the Australian Taxation Office. As a result, this rewiring of benefit payments is going to require a change of approach to both the advice process of recommending how benefits are to be paid during an income year – initially, a statement of advice broadly covering the methodology in taking benefit may be required, with a record of advice adopted for subsequent years. 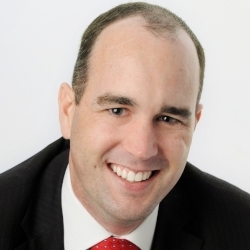 In addition, the requirement to adequately document these decisions between the member and trustee as part of the annual pension review to allow for what may be the most effective outcome for a member to withdraw benefits from their SMSF is going to be paramount under the new superannuation reforms.